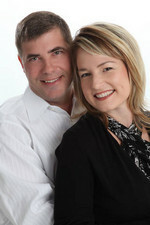 Lisa and Dennis have been helping families like you buy and sell homes in the Omaha area for over ten years. We are dedicated to helping you get the results you deserve by providing proven marketing strategies along with exceptional service. Our Mission is to change lives for the better, one relationship at a time, by making their Real Estate dreams come true. Our vision is to have the Best Results in the industry for our clients, our agents, and our company. Call us today to learn about how we can help you buy or sell your home. Lisa 402-612-2413 and Dennis 402-680-3458.